National Cherry Blossom Festival 2012 marks 100th Anniversary! 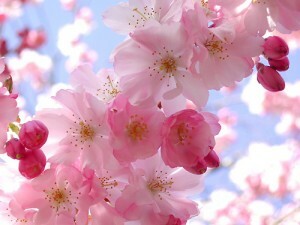 The spring of 2012 marks the 100th Anniversary of the National Cherry Blossom Festival. In 1912, the city of Tokyo, Japan gave Washington DC an incredible gift of 3,000 cherry blossom trees to be planted around the Tidal Basin in West Potomac Park, in East Potomac Park and on the grounds of the Washington Monument. The 100th anniversary of these beautiful trees will be celebrated from March 20– April 27, 2012. This year’s century celebration of National Cherry Blossom Festival is expected to be the biggest celebration ever. The bloom period for the cherry blossoms lasts approximately 14 days. The average peak bloom date is around April 4th, which means that by the later weeks of the festival the blooms will be gone. Tokyo Evacuation: Countries across the world are concerned about the safety of their citizens in Tokyo. The German and Swiss Embassies have begun to call on their nationals living in the quake-hit regions and the Tokyo metropolitan area to consider evacuating to other nations. France is sending 2 jumbos to Japan to evacuate French nationals in TOKYO. Also advising all French to leave Japan or head south. Japan Earthquake triggered Tsunami: All Flights are Cancelled From Tokyo! An Earthquake in Japan triggered a Tsunami of 10 meters height after an 8.9-magnitude temblor that shook buildings across Tokyo. According to the latest reports 32 persons died and the waves sweeped away buildings and vehicles as far as 1.5 kilometers inland. Airports were closed and bullet train services suspended. More than 4 million homes are without power, Tokyo Electric Power Co. said. This is the world’s strongest earthquake in more than six years. It struck the coast of Sendai, north of Tokyo, at a depth of 24 kilometers. The Philippines, Indonesia and Papua New Guinea were among more than 20 countries bracing for a possible tsunami, the Pacific Tsunami Warning Center said. Japan Airlines Corp. diverted 22 flights to other airports. Narita airport is closed for runway inspections. Japan Volcano eruption: The volcano became active last Wednesday firing red-hot magma and volcanic bombs into the air in southern Japan erupted Tuesday with its biggest explosion yet, shooting out a huge plume of gas, boulders and ash. 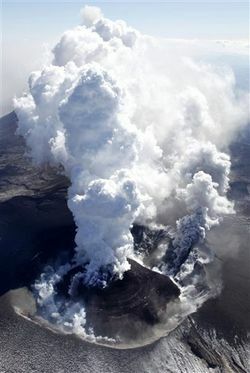 Mount Kirishima, a volcano on the southern island of Kyushu, began erupting on Jan. 26. A giant ash cloud poured from the volcano, prompting the Tokyo VAAC to issue an ash warning for places above 25,000 feet (7.6 kilometers). Playstation Meeting 2011: PSP2 Revealed by Sony! Many of the features are already known from leaks, speculations and rumors. Sony confirmed many of the features of the PSP2. The PSP2 features a high-resolution, touch-sensitive OLED screen that’s larger than the original PSP screen, tilt-sensitive SIXAXIS controls, dual analog sticks, front and back-facing cameras, and a touch sensitive back panel. The new PlayStation Portable is as powerful as a PlayStation 3. The device features built-in WiFi and 3G wireless connectivity and uses an all-new form of media storage for games.